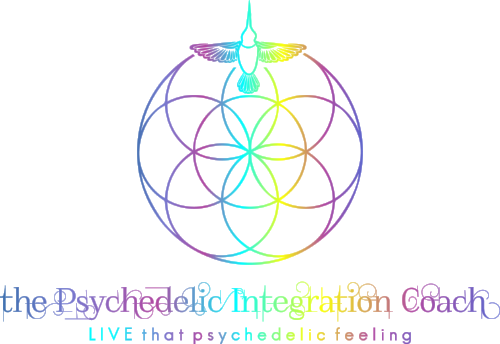 PsychedeLiA’s Integration Practices workshop series hosts experts in various mediums and activities that are supportive to ongoing psychedelic integration. Skills learned in these workshops can be used for grounding and self care, activation of the psychedelic realm, processing of gleaned insights and application of lessons to daily life mastery. The workshop is presented in an informative, interactive and intimate salon-style evening. The event is open to all who are interested in furthering their education on the mindful integration of entheogens. Dr. Gabor Mate says that it is through the way others experience us in the everyday that we can truly tell if we have properly integrated our psychedelic experiences. Surely it is through the reflections we provide each other that we discover ourselves. Processing and integration of emotions/feelings from the psychedelic experience is a foundation of psychological and spiritual healing attained through mindful psychedelic engagement. Though there is often a deep understanding of the need for emotional revelation in relationships, many of us lack the practical skills that can help us to “keep it real” with others. This interactive workshop presents the exercise of fostering human connection, helping us better acquaint with our emotional life by being in the present with our partner. The workshop begins with a five minute guided meditation that grounds, connects and centers the students. This meditation creates an inclusive environment where the students feel safe and supported. Students will have an opportunity to actively partake in this heart-opening exercise, learning a skill that can be used in every relationship as we practice seeing, hearing and validating others with honoring our own needs and remaining true to ourselves. Originally developed for actors, through a series of conscious and specific changes the instructor brings it to the heart to remind us that authentic connection is the cornerstone of our human experience. Iris Klein teaches acting and coaches actors in Los Angeles and Hawaii. She has been teaching for 30 years and grew up in New York and New Jersey. She teaches with respect and compassion and a deep understanding of the intricacies of the human condition. As the Latin proverb goes, “Repetitio est mater studiorum”, or in translation, “repetition is the mother of all learning.” Throughout her career she has implemented this proverb into her teaching, both literally and figuratively. Her mentors are John Cassavetes, Janet Alhanti and Sanford Meisner.